The value of Bitcoins is on the rise this week, climbing as much as 16%, as a major new vendor, a unit of Chinese Internet giant Baidu (BIDU), began accepting the virtual currency for payments. Baidu’s Jiasule unit, which provides online security and firewall services, said in a Chinese language post on Oct. 14 that it had started taking Bitcoins. The price of a Bitcoin traded at the popular Mt.Gox Exchange in Tokyo reached a high of $163 today, up from $140 five days ago. Bitcoins have completely erased the 20% drop suffered earlier this month after U.S. law enforcement authorities shut down the drug-dealing website Silk Road. Bitcoins, which exist only as bits of computer code, were the brainchild of an anonymous computer programmer known as “Satoshi Nakamoto.” New Bitcoins are created when computer users crack complex mathematical equations. Just under 12 million Bitcoins with a total value of about $1.5 billion are currently in circulation. 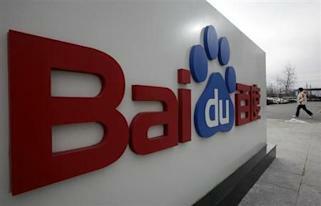 Jiasule is only a small part of Baidu’s entire business, but its move follows a number of other recognizable web sites, such as WordPress, Reddit and OkCupid, that have begun accepting Bitcoins, says Nicolas Christin, an assistant research professor at Carnegie Mellon University. The Jiasule decision also marks a breakthrough for Bitcoin in China, the world’s second-largest economy. Baidu is unlikely to have said it would accept Bitcoins without government approval, and other parts of the company could follow, says Jinyoung Englund, a spokesman for the Bitcoin Foundation. Still, Bitcoin prices remain more volatile than mainstream currencies. To become a viable currency, volatility will need to decrease substantially, which will require increased trading volume and liquidity. Bitcoin prices initially took a dive on the Silk Road news. After the announcement of the arrest of founder Ross William Ulbricht, the value of a Bitcoin traded on the Mt.Gox exchange dropped as low as $110 from $140, before closing at $124. But a day later, the price had bounced back to $130. Those fluctuations are minor compared with the bounces in April, when fears of a European economic and currency collapse sent the Bitcoin market into a frenzy. The value of a Bitcoin skyrocketed to $266, then plunged to $40 in a matter of days. Qualcomm-Apple Truce: Is There More Than What Meets the Eye?